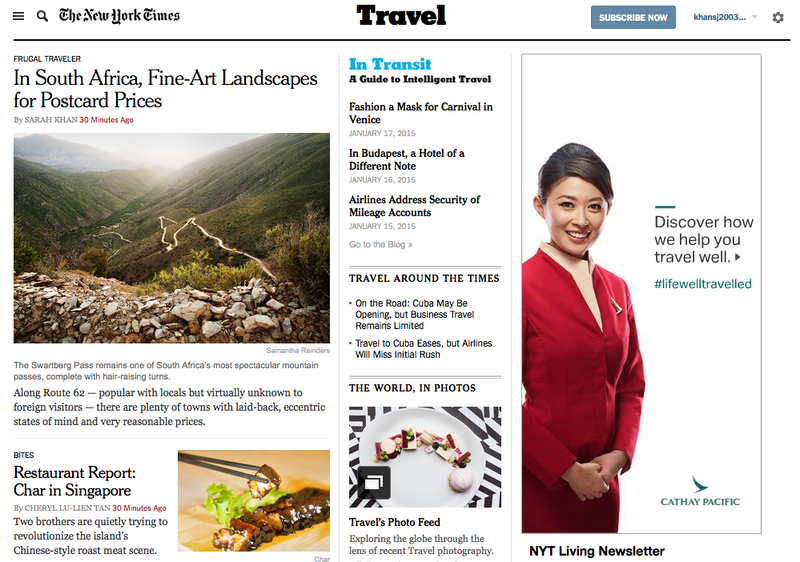 I’m one of the travel writers selected to fill in for Seth Kugel as The New York Times’ Frugal Traveler, health and in this weekend’s paper you’ll find my first column: a road trip along the Western Cape’s Route 62. It’s filled with quirky spots, mind artists collectives, great hotels — and amazingly affordable prices. Read all about it here, or wait to read it in print this weekend.